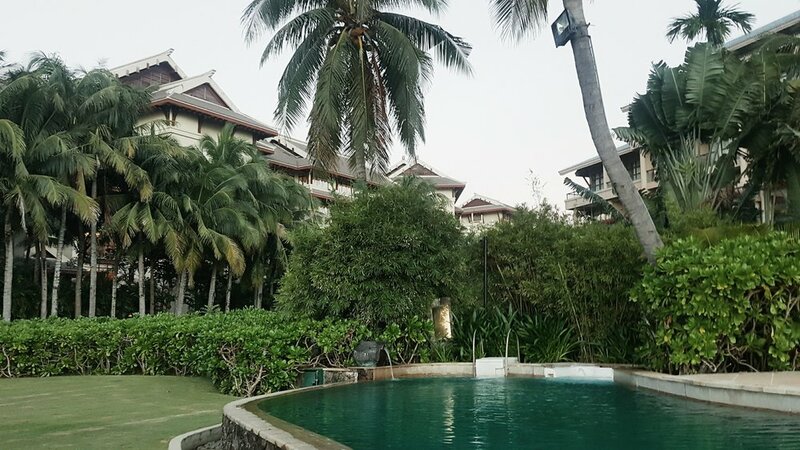 Located in South China, Sanya is a tropical location on the South Sea, affectionately monikered the “Oriental Hawaii.” Not sure many Americans would agree with that completely, but it’s definitely a Chinese Myrtle Beach with better hotels. As one of the warmer cities, you can experience a breezy 78 degrees all year round which is perfect for relaxing by the pool party, shopping, exploring the ethnic minority culture, or enjoying a some great tourism zones and hikes in the rain-forest. Whatever your reasons for visiting China, here are some things to know. Here are my top 10 things to know when traveling to Sanya, China in 2018. Thanks to tropical weather all year round, anytime is a great time. 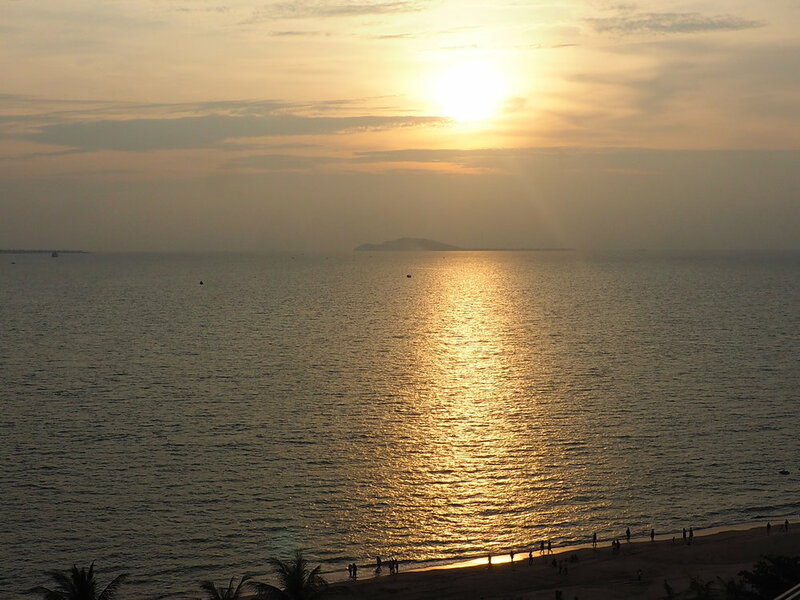 But if you’re looking to avoid a heavy flow of tourists and occasional typhoons that delay air travel, it’s best to travel to Sanya between the months of October and April. From May to September monsoon season rings lite showers to rain on your parade. Also, avoid the Chinese New Year! Why? Because,Frankly speaking, the New Year is not very good time to visit Sanya because it gets too crowded, and hotels are full (even with triple fares than usual). Have you tried to get a room in a popular place during a holiday? Exactly! Do yourself a huge favor and always check your calendar before planning a trip anywhere. Sanya is a very casual place so there’s no need to dress up. Wear whatever you would wear on vacation in Florida with your conservative parents and/or grandma. The Chinese aren’t prudes but try to keep the thongs, tiny bikinis and overflowing cleavage to the resort grounds. Lots of temple tours and long walking tours save the fancy clothes and heels for dinner and grab some comfy shoes and breezy light fabrics. One temple tour lasted a whooping 5 hrs. And we still had other places to visit that day! The official currency in China is Yuan Renminbi (CNY), pronounced RMB. At present time, 1 USD = 6.73 CNY. It was over 10 in November, but current events are strongly tied to the market. Don’t worry though. 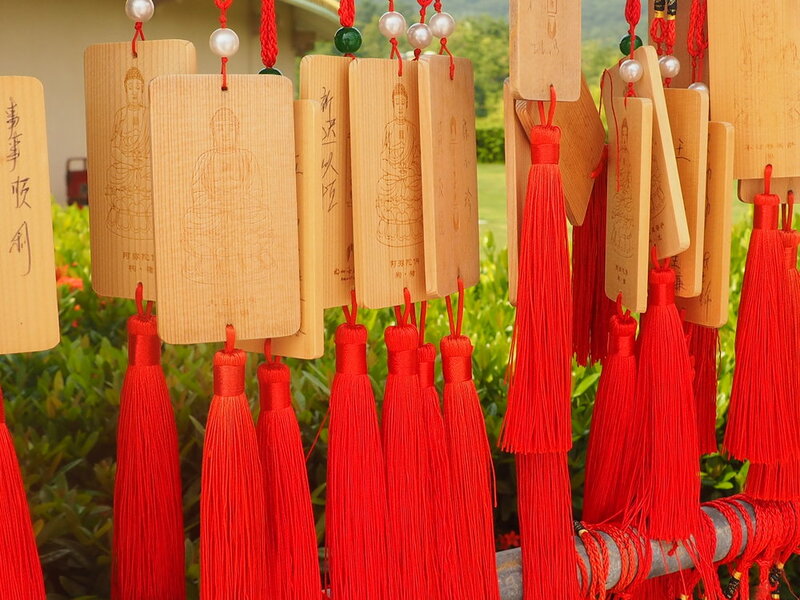 A few dollars can go a long way in Sanya. Exchange rates fluctuate, so be sure to always check before you leave. When you arrive at the airport, use the ATM to get currency or stop by the Currency counter to convert. Local shop rarely take dollars and going to the bank is the hassle to end all hassles. We’re talking ER waiting room style banking. I have a firm appreciation for the quick transactions at WF and will never complain again. Do yourself a favor and download my favorite currency exchange app so you can always stay on top of current exchange rates around the world. Despite what American and Canadian style Chinese restaurants will have you believe, the Chinese do not live off a steady diet of soy sauce covered fried rice, egg rolls, and orange chicken. The diet in Sanya is a lot more basic and low key. You won’t find a lot of sauce-soaked foods or carb-heavy sides. You can find delicious south Asian food with a mix of chicken, fish, and shrimp in the local markets. On the resort where life is a bit more upscale meals contain heavier meats like duck and beef. Hope you like vegetables! Most meals come with a huge array of noodles and veggies that outnumber the meats 5 to 1. Hotels and resorts have a more international selection, so eat all your eggs, pancakes, pizzas and drink as much water as you can before you explore. Ice water (or water in general) is a commodity in the city and juice and beer are much easier to come by. Grab a couple bottles from the hotel to stuff in your bag. Or bring a water filter bottle in case you find a water fountain. You may have an opportunity to purchase water in shops, but don’t expect your restaurant to provide it when you sit down. Which electrical converter will you need? China uses three different outlets depending where you. I found each hotel had the standard outlet Americans are used to so no converters here. You’ll also be good if you carry the European standard round.They use the 3 pin plug, laid out in a V shape. You should be fine with whatever you bring, but if you’re feeling nervous, make sure to pack your universal converter. And Bathrooms...time to squat it out. Most hotels and some tourist spots will offer a western style bathroom, but the farther you get from the 5 star resorts the more likely you’ll need to learn how to use a squat toilet. It is not as bad as it seems. Tipping is not a regular part of Chinese culture. In most local restaurants, you will not be expected to leave a tip. If you’d like to do so, ask 3 times. It’s customary to be humble and reject a gift, so make sure they really mean no and are not just being coy. When dealing with drivers, tour guides or staff at western style resorts and restaurants the general 10-15% is standard. You may get a few confused looks or side eyes though, so tip at your discretion. As with large cities, taxis are reasonably inexpensive and easy to find. Life of the road in China is insanity so I don’t recommend trying to rent a car. Standard taxi rules apply- they’re metered and can be hailed from the street or called. Make sure to have small bills, as taxi drivers may not be able (or willing) break a large note. Most taxis iinChina do not have a card reader so make sure you have enough for your ride. If you stay in a hotel, you’ll most likely have access to a shuttle to and from the airport, as well as group outings to some popular locations. Be sure to ask about pricing before you board. Not all are free. China is a little fast and loose with the safety so keep an eye out for hazards and activities that would usually not occur in the US or countries that are heavily regulated. I used to think liability was over reaching until I spent time in a country with none. The westerners on my tour were constantly having pow-wows to discuss whether we “should be doing this!” Participate at your own risk. Climbing and canyoning is done with helmets and no safety ropes. It’s entirely possible to might fall from an 80 ft waterfall in bamboo shoes. Slipping is a common issue. I actually injured myself twice. Once on an obstacle course in a stream inside a tropical forest and the other time on a slick stone floor next to a hot tub. Be very careful. A trip to the hospital is not what you want to deal with. And make sure to update your travel insurance...just in case. Undercurrents. Most beaches don’t allow swimming. The ones that do strongly discourage heading out into the surf. Heed these warnings. The South Sea is rough and under the water lies a tornado of current ready to drag you under. If you love the water, feel free to hang out at any of the one million pools. Scary driving. The lines are a mere suggestion. Crosswalk are just more of those lines on the road. Be quick when crossing. If you were good at frogger as a child, you should be fine. As with all new cultures, it’s important to know what is and isn’t taboo or seen a offense to your host country. For example, sticking your chopsticks upright in rice is a no-no. It resembles offerings to the dead. Just say hello. No kisses, hugs or handshakes. Just a hello, unless they offer a hand first. Don’t refuse food. Or at least, don’t refuse to try it because you think you won’t like it. Be polite and try a bite or ten. You never know. Want to give a gife to your awesome tour guide or host? Don’t give someone a clock for a present. It means you want them to die. Eek!! In the event you recieve a gift, don’t open presents on the spot. Take them home and open them in private. Don’t compare things to your country. Or talk crap about communism or current Chinese leadership. Don’t talk politics at all. It’s always a nice to learn a few things in the local language as a show of good faith so try these out and see the response you’ll get from locals. They will appreciate the gesture even if your pronunciation isn’t the best. I must have said thank you in seven different incorrect ways but they understood the sentiment. Duōshao qián (Dwor-sshaoww chyen) = How much money?